Arctic Monkeys have announced their first tour date of the year – and have posted a ‘cryptic video’ which some fans think spells out more gigs through 2018. The Sheffield band have been busy recording their sixth album, which is expected to drop this year also, and they’ve confirmed they will be headlining Firefly Festival in June. As well as the festival announcement, the band posted a cryptic video via Instagram Live earlier today. (January 11). Fans on Reddit had been busy speculating after one user posted the band’s Instagram video – which has now been deleted – with some people commenting the video shows dates and numbers that could be geographic coordinates for future shows. While we don’t know if the dates match up to an upcoming tour, at least we do know they’re going to be performing. Firefly Festival will be taking place in The Woodlands of Delaware from June 14-17. Arctic Monkeys are joined on the impressive line-up by the likes of Eminem, The Killers and Kendrick Lamar. 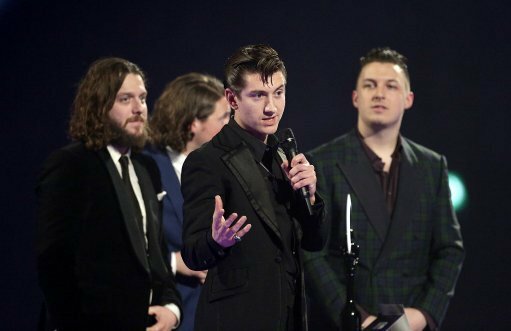 An Arctic Monkeys tour would make sense, because last year, bassist Nick O’Malley confirmed the news the lads had started recording their eagerly-awaited new album. Drummer Matt Helders had previously been reported to have told a fan that new material would be coming out later in 2017 – which never ended up happening, but O’Malley however said the album will come out in 2018. Their fifth and latest studio album AM came out in 2013 to critical acclaim. It was nominated for the Mercury Prize and hailed the Best Album of 2013 by the NME. Commercially it was one of the band’s most successful releases to date, topping the charts in several countries, but not quite outselling their debut Whatever People Say I Am That’s What I’m Not, in the UK at least. With AM, they broke a record becoming the first independent-label band to debut at number one in the UK with their first five albums. Since then, frontman Alex Turner has returned to write a second Last Shadow Puppets album, his side-project with musician Miles Kane. 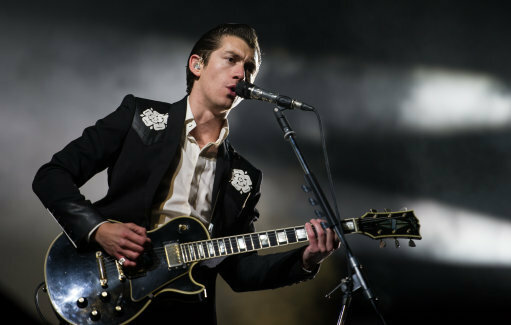 Last year, with fans not able to talk about any new music or tour dates, they turned their attention to Turner’s beard, with some comparing him to comedian David Mitchell. Talent manager David Adcock posted a photo this week on his Instagram which shows Turner still rocking the facial hair. His beard was first photographed while attending a listening party for Lana Del Rey‘s new album, Lust for Life, at No Vacancy in West Hollywood in July last year. Let’s face it though, he can do what he wants, he’s Alex Turner. Continuing to cross absolutely everything in hope they announce a full list of tour dates. Come on!